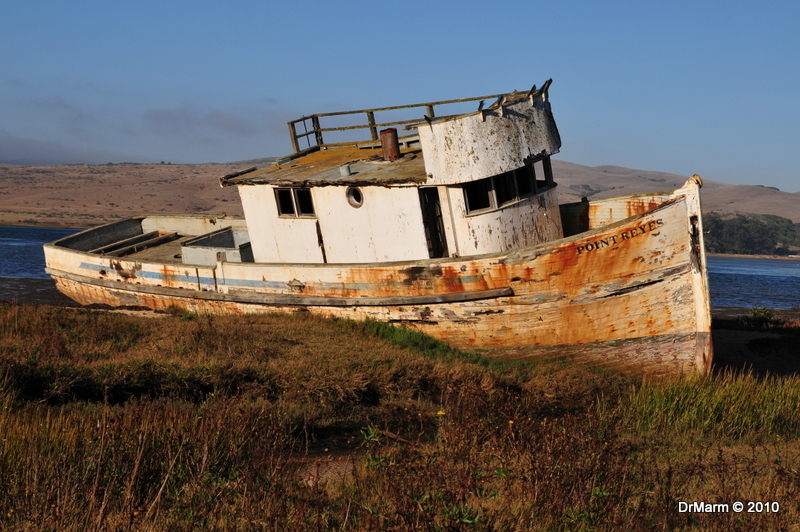 So, where do old boats go for glory? 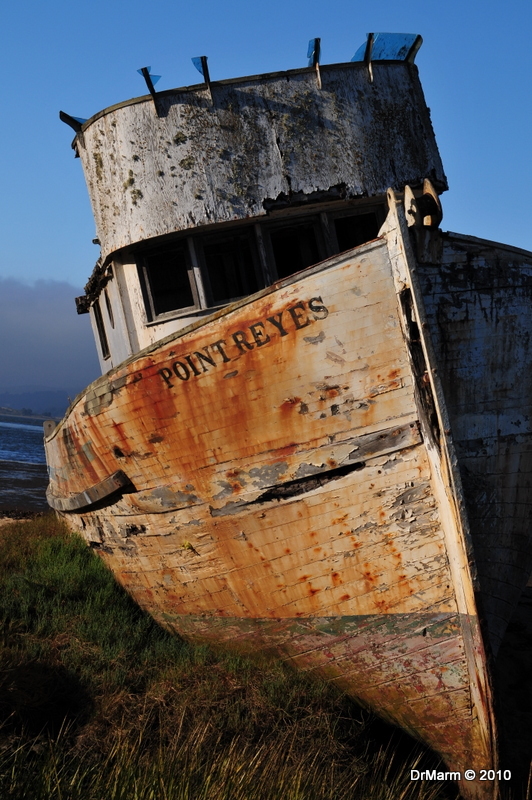 This one is shipwrecked in Marin County, California– near the small town of Inverness. 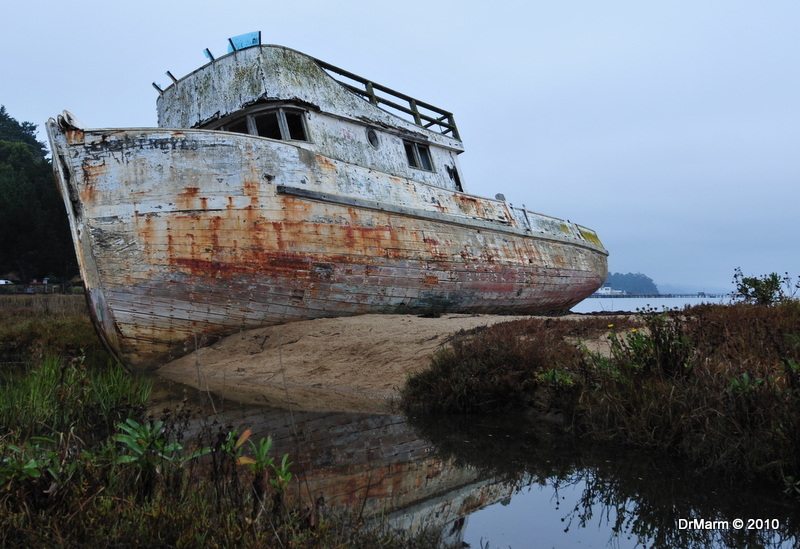 Can not imagine how many photographers this boat has lured in…count me in! This day started off with a cloudy sunrise session at the base of The Golden Gate Bridge and kept getting better and better! A windy drive for about one and a half hours brought me here. Yes–did get turned around and had to also ask for directions. So thankful I had not done this the night before in the dark! But–I did find it!! With my Nikon this time! There are advantages to routes from one place to another. We stopped here at 9:00 a.m. when it was overcast and then swung back in the late afternoon…to find blue skies that lit up the boat again! Imagine the tales to be told! One thing I do know–I will be back and hope to capture this historic treasure again. 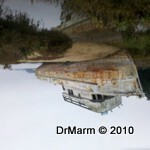 This entry was posted on November 7, 2010 by DrMarm. It was filed under Uncategorized . Oh my ….. these are really wonderful shots! Great captures! Laura, wonderful images! Stunning colors and textures. 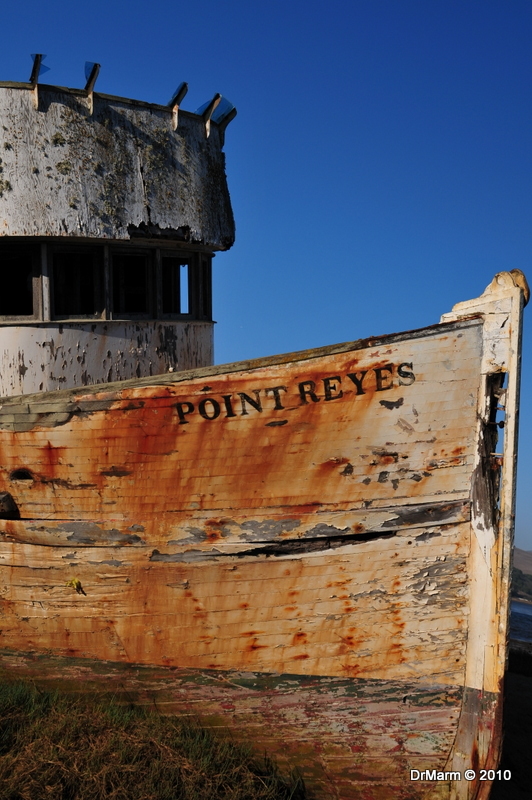 The rust spots, chipping paint and wood grain makes it all so very interesting. 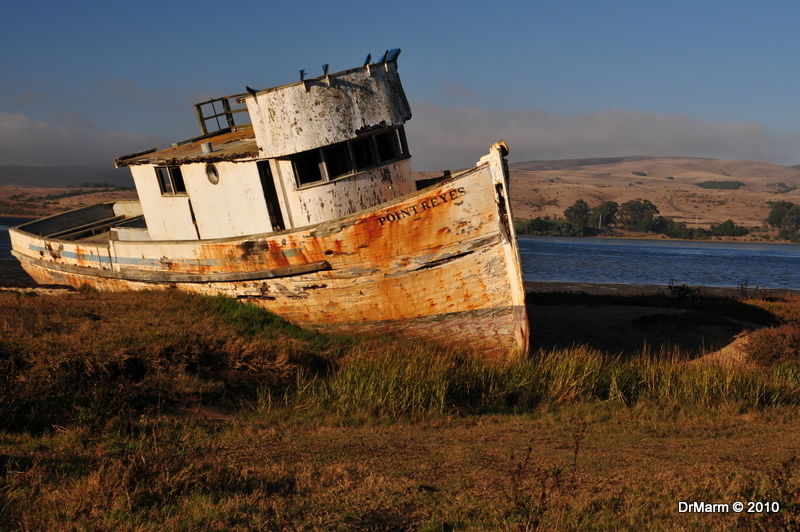 Lovely scene around the wrecked ship as well. Nice blog Laura. Like the reflection shot. Actually like them all just giving you a hard time…Nicely done.